We are under attack! I am not referring to physical attacks or by internal ailments, but of something deeper-the spiritual . We see a world glamorized through reality television- a scripted lifestyle, of “this is how you should live,” our faith continuously being tested, our own friends making us second guess our purpose; to misinterpreting life’s storms as mere punishment instead of seeing them as lessons to be learned and spiritual growth. The spiritual battle of wanting to do right vs. living and applying what is right, is at an all time high. The bible says in Ephesians 6:11-12, Put on the full armor of God so that you can stand against the devils schemes. For our struggle is not against flesh and blood, but against rulers, against authorities, against the powers of this dark world and against the spiritual forces of evil in the heavily realms. Now, memorizing and quoting a scripture when turmoil comes your way is a good reference when negative thoughts try to attack our mind. However, as we are growing in our Christian walk, the next step is to get an understanding of the scripture and start asking, What does, “put on the full armor” mean? In The Bible, “armor” means to shield our mind from the devil’s tactics with the Word of God. There are six different pieces to this armor: Belt, Breastplate, Foot-gear, Shield, Helmet, and Sword. Satan fights with lies, and sometimes his lies sound like truth; but only believers have God’s truth, which can defeat Satan’s lies. The devil often attacks our heart-the seat of our emotions, self-worth, and trust. God’s righteousness is the breastplate that protects our heart and ensures his approval. He approves of us because he loves us and sent his Son to die for us. Satan wants us to think that telling others the Good News is a worthless and hopeless task- But the footgear God gives us is the motivation to continue to proclaim the true peace that is available. What we see are Satan’s attacks in the form of insults, setback, and temptations. But the shield of faith, protects us from Satan’s flaming arrows. Satan wants to make us doubt God, Jesus, and our salvation. The helmet protects our mind from doubting God’s saving work for us. So when those thoughts of evil inclinations arise, immediately swing them off using those six weapons. Even if you forget to put one of them on, just pray those thoughts away and at the end of that prayer say “in the name of Jesus!” There is power in the name, for it makes demons squirm and flee, so just imagine if you were to pray and feed your mind daily with the Word! 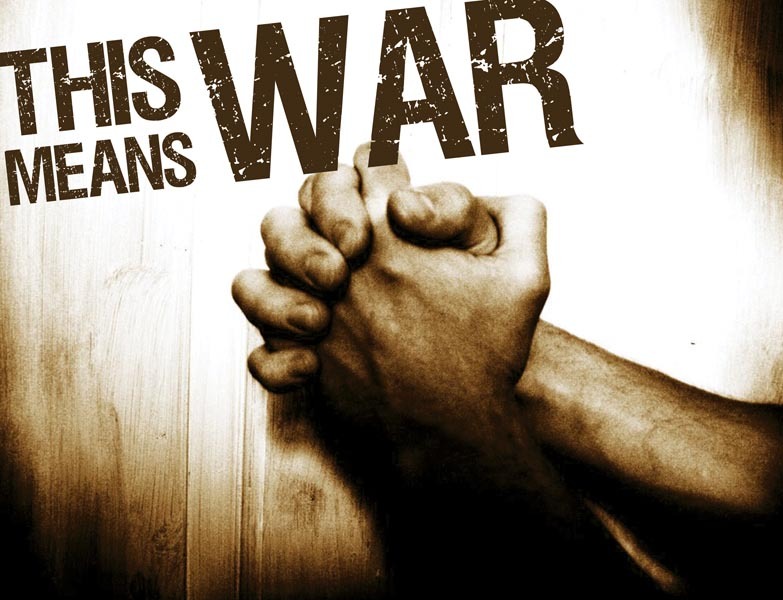 Ephesians 6:18 says, “And pray in the Spirit on all occasions with all kinds of prayers and requests. With this in mind, be alert and always keep on praying for all the saints.” God is all powerful, and since The Bible is from God, without both prayer and the word our tests will look like mountains to high to overcome.